The percentage of my students meeting or exceeding growth is the best I've seen in 10 years. Thirty-six percent of students in the study grew by at least 2 grade levels. 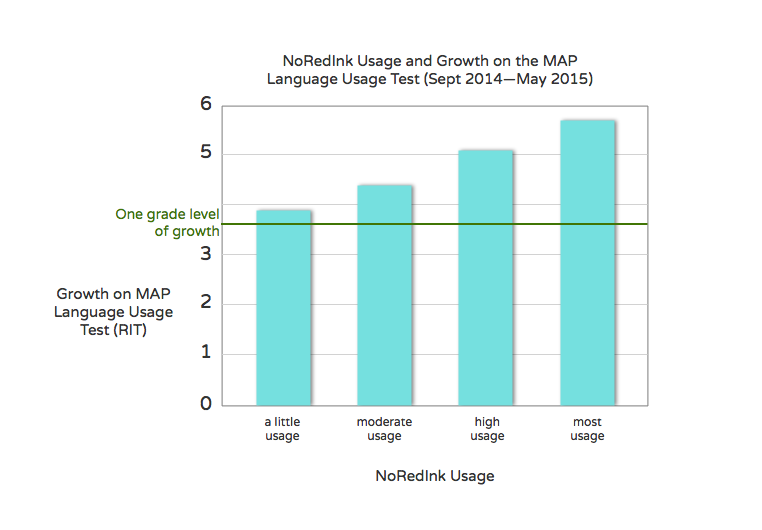 Our data showed significant gains with students who were using NoRedInk. The program is effective because it's personalized to their interests and adapts based on what they already know and what they still need to work on. 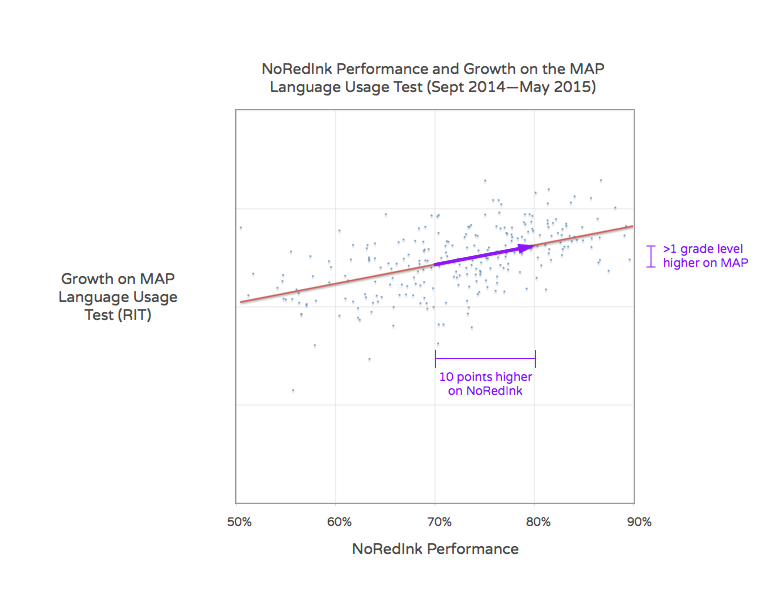 Each 10-percentage-point increase in performance on NoRedInk is linked with more than one grade level of growth on the MAP Language Usage Test. For me, the most powerful benefit of NoRedInk has been seeing the skills my students were learning on NoRedInk transfer into their everyday writing.